Home > Laptops > HP Laptop Computers > HP EliteBook x360 1020 G2 12.5"
HP EliteBook x360 1020 G2 12.5" 2-In-1 Laptops are HP’s thinnest and lightest weight business convertible laptop solution, perfect for Small to Medium Size Businesses (SMBs) seeking a collaborative computing solution for their end users on the go! Wherever you are working the HP EliteBook x360 1020 G2 offers the best in industry leading security features, performance, and collaborative features to keep you at your most productive. 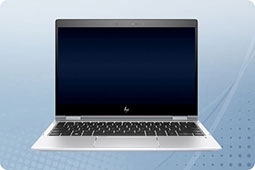 Created with an ultra thin chassis, beautiful HD (1920 x 1080) touchscreen display, HP Premium Collaborative Keyboard, long lasting and high quality speakers this HP 2 in 1 laptop makes remote collaboration a breeze! In addition, best in class security features such as HP DriveLock, HP BIOSphere, TPM 2.0, power on authentication, and HP Sure Start ensure your business data stays safe and protected. Plus, all models from Aventis Systems include Intel Core i5 or i7 processors, 8GB of DDR3 memory, and ultra fast M.2 solid state drive storage options to choose from making sure you always have the specifications you need to stay your most productive! Aventis Systems offers all of our HP EliteBook x360 1020 G2 2 in 1 convertible laptops with a standard 1 Year Essentials warranty. Upgrades to Extended 2 Year term, Express NBD parts, and Secure Drive media retention warranties are available as well if more coverage is needed. So shop our product options below and bring the best in compact collaboration to your business today with the HP EliteBook x360 1020 G2 12.5" 2-In-1 Laptops!